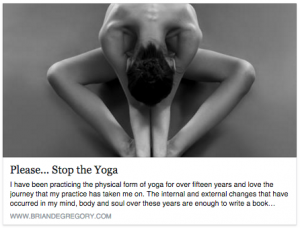 Tis the season and some of you may still be holiday shopping for the yogi in your life. If you are at a loss for ideas, I’ve created a list of good karma suggestions that will leave you with more time for yourself, for your loved ones, and having given meaningful gifts. Everything on this list is something that I use and love, and some I have relations with through my ambassadorships for which we share the same values- chosen for their commitment to sustainable business practices, charitable involvement, and quality. All products may be purchased online, leaving you with more time, stress-free, and happier knowing that you supported fabulous companies and organizations. Myofascial releasing awareness is increasing as we become more aware of the importance of overall well-being. When we work out, we strengthen our bodies, but we don’t always spend the proper time countering the effects of our workout, leading to smaller ranges of motion and dreaded tight muscles. Within our bodies, we have sheathing or wrapping that embraces a number of things like organs and muscles. The connective sheathing is directly linked to our ligaments and joints. When connective tissue has limited range, it may not matter how much we warm up, because proper preparation and release lies in addressing this system. Using tools and props can help teach muscles to release, connective tissue to smooth in turn not only creating space in the saran-wrap-like matter, but also in our joint capsules. 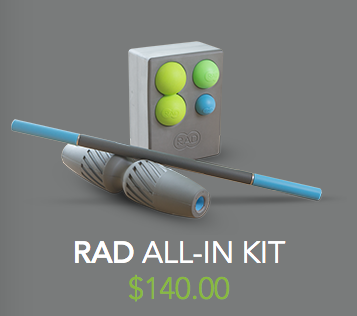 RadRoller has the state of the art mobility tools for all your myofascial and connective system needs. 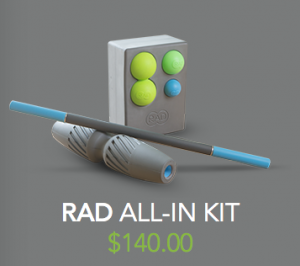 I suggest the RadRoller All In One Kit, offering tools for massage, point release, and muscle flushing. You can’t go wrong with this. Plus, this one you can share! 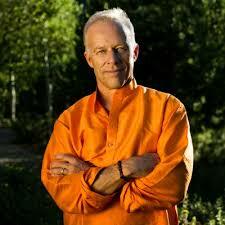 well-nourished when I am training in Aspen, Colorado with my teacher (her husband), Yoga Rupa Rod Stryker. With a passion for her italian heritage, it was destiny that Gina would be a chef. She refined her culinary skills in Italy, eventually she began to cater Yoga Rupa’s trainings. Gina Cucina caters a variety of cuisines: soups, salads, hearty and healthy main dishes, and desserts custom-made for all dietary needs. Gina proudly sources all food from local sources and everything is organic and non-gmo. Her soups are fresh, delicious, and are infused with the secret ingredient = L-O-V-E. The bad news is… she caters in the Aspen Valley. 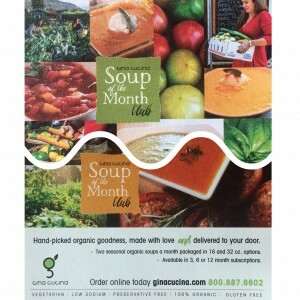 The good news… you can order her soups online through the Soup Of The Month club! 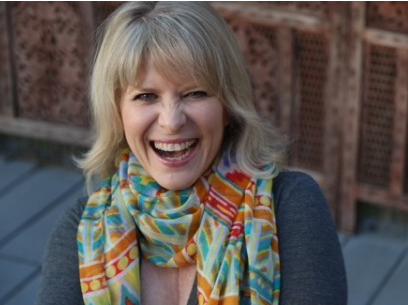 Speaking of zuppa!… My friend, Jackie Dominas, is here to help you hit the reset button for your health. As a nutritionist and health coach, and her work as a yoga teacher, Jackie understands first hand how optimal nutrition is the key to vibrant health. We also know that reusing water bottles helps immensely with reducing plastic bottle litter, removing plastic bottles from the contamination cycle. 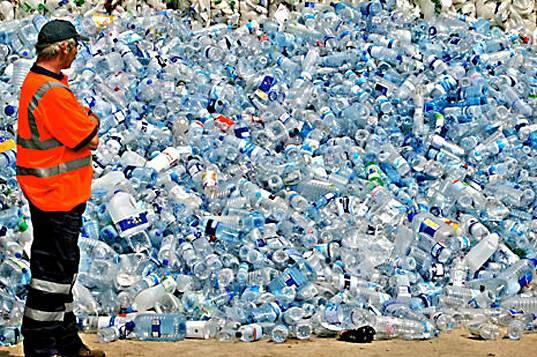 Some waste disposal and recycling centers may not have the capacity or capability to recycle plastic bottles and hence end up in a landfill. 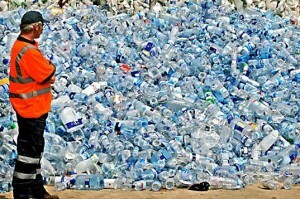 I’ve had many different types of reusable water bottles. I was diligent about washing out my bottles according to the manufacturer’s directions being mindful of the top rack in the dishwasher to not using soap to wash out the inside due to the materials. Though different kinds, they all have one thing in common… the inevitable funk. I know you know what I’m talking about. Well problem is now solved! Meet the ALEX bottle. ALEX = Always Live Extraordinarily, founded by dynamic duo, Chris Hotel and Gretchen Bleiler. Chris is the designer behind the clever concept including their CLEAN SEAM TECHNOLOGY™- allowing the bottle to unscrew at the middle for easy cleaning, as well as at the top. A solution to waste and hygiene- genius. Olympian and X-Games champ, Gretchen is Chris’s wife and wing-woman. She travels the globe advocating climate awareness through speaking engagements and events as Protect Our Winters, (POW), Riders Alliance ambassador and annual representation at the White House.Features: CLEAN SEAM TECHNOLOGY™, (easy to clean & share with a friend); BPA free; removable silicone band to protect against dents, and the ability to transport a full bottle of Avery IPA. Just sayin’. 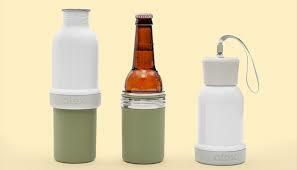 Shop: ALEX bottle for good karma! Shawni is a yogi, DJ, and a very talented singer-song writer. I’ve spent many hours along-side Argentinian and Los Angeles resident, Shawni, as a peer/student studying ParaYoga and I never knew she had yet another talent. Why am I not shocked? This beautiful labor of love features Shawni’s sultry smooth vocals laid on beautiful ambient sound currents that peacefully transport the yoga posing practitioner to the music lover alike. Shawni is donating all the album proceeds to support Kids coming out of foster homes- supporting a cause that her friend is directly involved with in L.A. and whom many of the kids Shawni has had the honor in meeting. Shawni’s goal is to sell 11 albums per day, benefiting ‘Fostering A Change’. 1) If would prefer to purchase an actual c.d. ($15-$20 shipping included), directly message Shawni via Paypal at shawni.music@gmail.com. Please include your name, shipping address, and email subject: ‘Foster Kids’. 2) If you would prefer to download the album, follow the link here to purchase and download, but please note that a percentage of proceeds from downloaded purchases go to Band Camp and less to ‘Fostering A Change’. I love Asha Patel Designs! I’ve been an APD ambassador for many years now and have also become great friends with the creator and designer herself, Asha Patel. 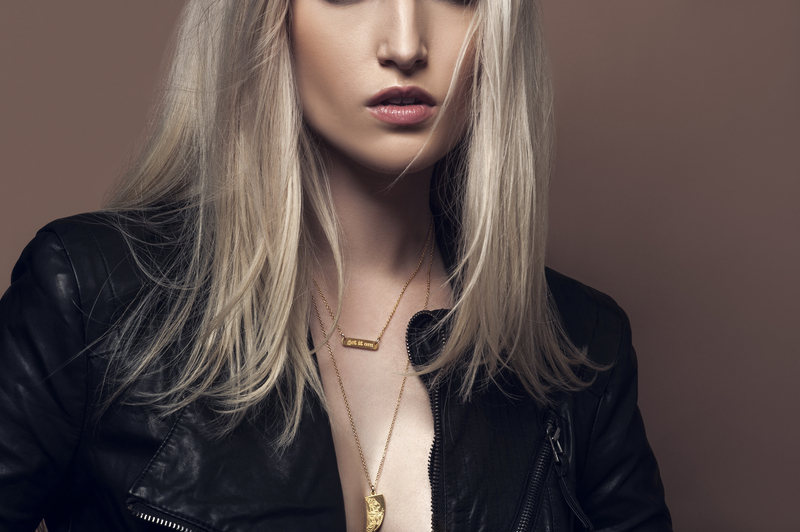 She mindfully designs every piece, infusing each one with specific intention and good energy. 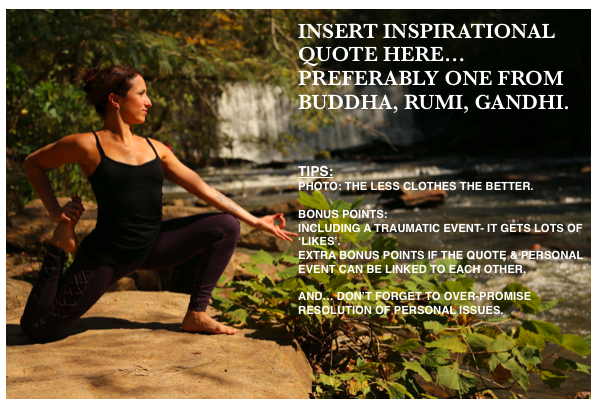 KiraGrace is one of the few yoga clothing companies made in the United States and this is one of the reasons I am proud to be an KiraGrace Warrior Ambassador. Owner, Entrepreneur, and long-time yoga practitioner, Kira Karmazin had the vision to create a luxury line of yoga clothing with specific considerations around body types, styles, and also made women feel absolutely beautiful.